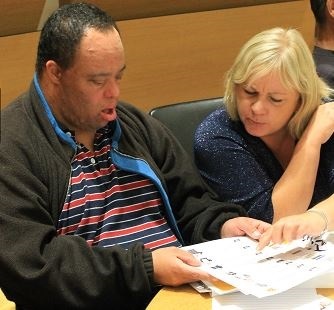 SeeAbility, a national charity for people who have sight loss alongside other disabilities, has launched a landmark research project to understand if people with learning disabilities are getting the right help to look after their eyes. They aim to build a national picture of eye care experiences amongst people with learning disabilities. The first initiative of its kind, the results will form a report which will be published in Spring 2016. People with learning disabilities are at a much greater risk of having problems with their vision. Despite this, many still receive adequate care and struggle to get a sight test or glasses. If you are working with a young person who has sight loss and a learning disability could you help make their experience heard? There are two surveys – one for parents with children under 14 with learning disabilities, and an easy read version for young people aged 14 and over. To complete a survey online, visit seeability.org/surveys. To find out more you can call Donna O’Brien on 01372 755 063 or email d.o’[email protected]. You can also download printable copies to complete and return. The surveys will remain open into 2016.